Our Invitations ~ Popsicle are just the ticket on a for a mid summer party! Everyone loves popsicles and these invitations scream fun with their bright colours and promise of a tasty treat! These are a great kids party invitation but we are all big kids at heart so would also be great for a grown ups birthday party or baby shower too. 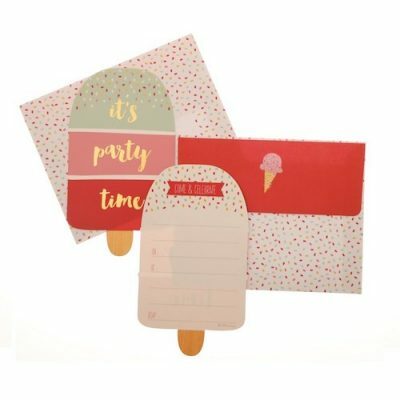 This invitation kit includes a popsicle shaped invitation which is printed of both sides of very good quality card stock and a coordinating envelope.